Love this stool as well! Do you know where I can buy the Jack Smith Birdbox? It’s really beautiful. 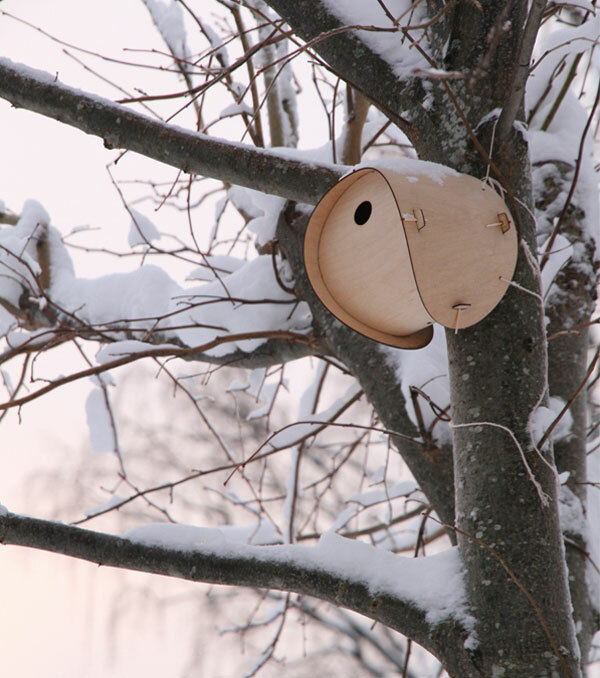 The winter-time photo of this bird house is my wallpaper right now. I think all designers should be taking great care with the effects of their designs, have conscience and design objects suitably and responsibly. Inevitably the vast majority of people will always require/desire objects,send gifts etc. so at the very least designers can design these products the best way possible. 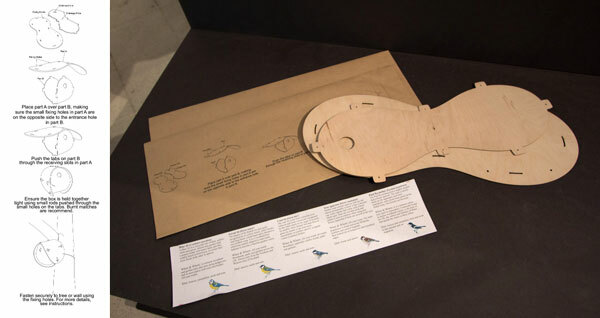 I think if I were to send a gift for example, the bird box above would be much better than than many other things one could send. i.e. 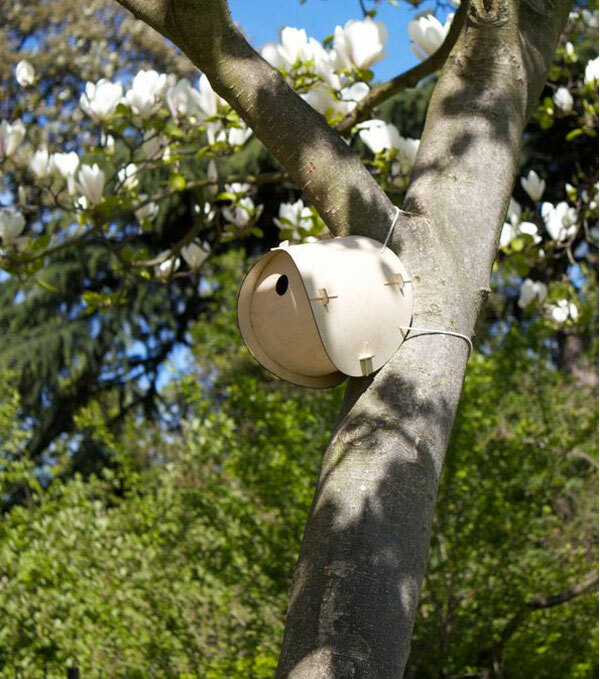 sustainable, bio degrades, promotes wildlife, uses found objects to secure, flat pack. Having been on the designers website and taking to him at the RCA show, it seems he is conscience and concerned about the current issues of overconsumption. 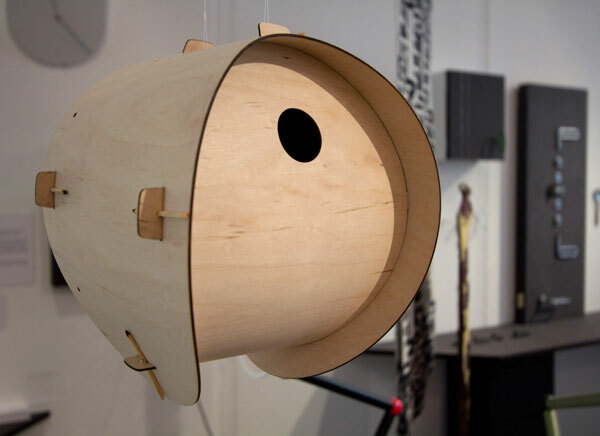 After years of study at what used to be one of the world’s leading design schools shouldn’t it be possible for a student to design a product that makes a more significant difference in a world on the road to crisis.Are bird houses more about the needs of birds or the trivial desires of over-consumptive Westerners? Does the world or do birds really need this product? Does it have a real function or a workable business strategy. Should students at the RCA continue to be ignoring the pressing realities of the world and indulging themeslves in such trivial exercises that even birds have little purpose for?